The following is an excerpt from my book Purpose of Prayer. Rejection of God is not only found in the world among nonbelievers, it is found among Christians, and in our churches, and among many of our ministers. We will examine these four groups. If this was true in Torrey’s time, I believe it is even truer today, because our seminaries have gotten worse. Many of our ministers, sad to say, are not men of prayer, have no love for souls, and have little love for the Word of God. They have not learned the art of sound expository preaching, and they do not very often preach repentance; they preach a soft diluted message—things they think their congregation would want to hear. With this sad state of many of our pastors, it is clear that there is a great need of revival. Our churches. I think it is true to say that many of our churches do not uphold the whole Bible as true. Likewise, many do not uphold the resurrection or the virgin birth or the deity of Christ. I would say that most of our churches—even our evangelical churches—are prayerless; for they have given very little priority to prayer meetings, and have not emphasized or taught prayer from the pulpit. Many of our churches can no longer be called Houses of God, because they are now used as centers for gambling and for gossip. The church, for many church leaders, is not a place to serve God, it is a place of big business, where filling the pew and the collection plate is more important than teaching such things as humility, purity, and faith. And for these reasons we don’t have revival. For these reasons also, we need revival. Christians. I would have to say that most of us who call ourselves Christians these days are sadly lacking in Christian virtue and Godly character. Thus we find ourselves in a sad state. The statistics show that the divorce rate for Christians is even higher than for pagans. How can this be? I will tell you how. We have swallowed everything that the world has offered us: all the games, and all the entertainment— including all the sin that goes along with it. It almost seems that most Christians these days act and think no differently than pagans. Some whom I have observed say they are Christians, but they have no quiet time in the morning, they don’t care to join a Bible Study group, and they almost seem afraid to go to a prayer meeting. But then, on the other hand, there are some that are in the Word and faithfully have their quiet times every morning, but they are grossly and sadly built up with spiritual pride—probably the greatest sin of all. We need revival! Non-Christians. Well, what can we say about this group? As I see it, this country has not seen revival in a while—so not very many are being saved, just a few here and there. With X-rated videos and the ever-growing Internet usage, gross immorality is on the rise, making it almost impossible for pagans to get a glimpse at the light of truth. There is a general lack of conviction of sin in this world, and any supposed standard of Christian virtue and character is lost, and replaced with Hollywood glamour and computer games and such. Yes, there is plenty of evidence that shows our great need of revival. 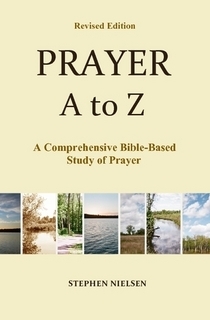 This entry was posted in Prayer A to Z Excerpts, Revival and Prayer and tagged prayer, revival. Bookmark the permalink.